GraFitz Group Network will create an exclusive "mobile friendly" website loaded with all the right features to convert viewers into clients. 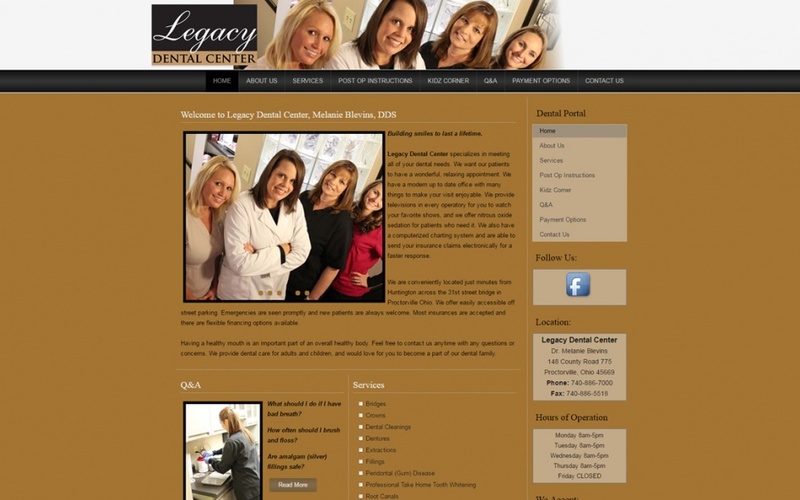 We use an aggressive, comprehensive web marketing strategy to drive traffic to your dental practice website. Our team will incorporate patient reviews, social network marketing, as well as search engine marketing and optimization: all the essentials that play a major role in the local presence of your dental practice. GraFitz Group Network is also your go-to agency for search engine optimization. Our SEO team will help make sure your potential clients know your dental practice is out there. We specialize in making businesses in the Huntington WV and Tri-State Area accessible to their potential clients. With geographic optimization, as well as Facebook implementation, the team at GraFitz Group Network can help put your dental practice “on the map”. Our copywriting team will assist in gathering and writing your website content, and ensure that your website has the professional look and reliable information your potential patients are seeking. GraFitz Group Network is a full-head-on, full-service website company that can turn your dental practice into a major presence. Call us today for your free consultation!